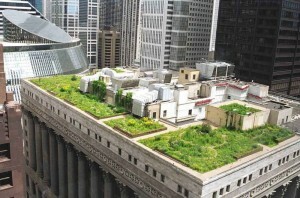 According to figures from the U.S. Green Building Council, Chicago has the most certified green buildings then any other city in the country. That must be hundreds right? Not really. The council reports that 88 projects in Chicago have earned Leadership in Energy and Environmental Design (LEED) certification. Still, that isn’t too shabby especially since it was reported that in 2007, Chicago had just 27 LEED-certified buildings. That is over three times the amount in only two years. Kudos, Windy City!